A place for young people to drive change. 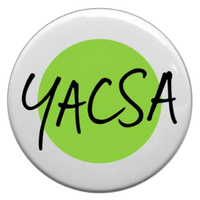 We're the Youth Affairs Council of South Australia. We are an organisation that looks to make sure young people are given a fair go. We start from the idea that young people are the experts in their own lives, meaning that the experiences, ideas, questions, concerns and opinions of young people are unique. We aim to make sure decision makers are connected to and aware of that expertise, to make sure that the decisions they make best reflect the needs of young people in SA. The Smashed Avocado is an important part of what we do. It's a platform for young people to learn about the decisions that are being made about their lives, and for young people to talk about how those decisions affect them. Whether it's info from us, news outlets, or from young people, this site is about giving you the information you need to learn about decisions and issues you're passionate about, and to help you drive change. Find out why it's time decision makers started listening to the evidence. The find a solution, we need to understand the problem.